Textual literalism is not necessarily connected with intolerance, political radicalism or violence. On the positive side, the insistence of the Salafiyya on comparing societal practices with the practices of the early Muslim community allowed for the abandonment of some unjust customs, like the exclusion of women from the mosque. On the other hand, this approach can degenerate into a simplistic and literalist reading of the Quran and the Sunna. In particular, literalistic readings often diminish the relevance of historical context for understanding the true meaning of the Quran and the Prophet's Sunna. Such readings also give little attention to the need to reconcile particular rulings with general principles and values articulated in the Quran and the Sunna. Finally, literalistic readings can efface the role of the human interpreter. Decrying "man-made" institutions, literalists seem unaware of their own roles as human interpreters when they select particular passages to justify their positions. At the same time, we must also recognize that many Muslims who practice what might be called a "liberal" reading of the Quran can be as intolerant of other opinions as their ideological opponents. Intolerance is rooted in the belief that one's own reading is obviously correct, whether that reading is based on a literalistic approach to the text or on a conviction that (one's own) reason is such a perfect instrument for assessing truth, justice, and fairness that interpretations in conflict with that assessment are dismissed out of hand. This attitude is not just intolerant, but, in contemporary scholar Khaled Abou El Fadl's words, "authoritarian." He says, "Authoritarianism is the act of 'locking' or captivating the Will of the Divine, or the will of the text, into a specific determination, and then presenting this determination as inevitable, final, and conclusive." "The Story of the Qur'an: Its History and Place in Muslim Life"
Say: by the grace of Allah and His mercy, let them rejoice in that, it is better than all that they gather. The Sheikh begins this khutba with the verse from Surah Yunus, alluding to the fact that for much of our lives we busy and torment ourselves with the collection of material wealth. This is the source of our agitations and aspirations, but no matter how much we accumulate the heart is left hungry for more of the same, but also for the Divine Other, the only thing that brings nourishment and satisfaction. Believer possibly has little in his hand but sees everything that Allah gives him. These are all irreplaceable treasures and jewels. The believer is thus farhan, joyful, because his joy is in Allah's grace and mercy and thus sees everything as a manifestation of His grace. Amongst these joys are are the numberless blessings of this world, those that even if you tried to count them you could not do so. A blessing deeper than these and underpinning them is the ability to connect outward forms to meanings, the ability to make sense of the existence and put ones self in tune with it. Thus the greatest mercy is that of explanation, which brings life to the desert of the heart and satisfies it to the point beyond which music and poetry and all other things can reach. Of course the perfect embodiment of this wisdom was the Prophet, may the peace and blessings of Allah be upon him. As the narrations say nobody smiled more than him, which is a sign of his understanding. When we follow him outwardly but also inwardly we can share of this ma'na, this meaning of creation. 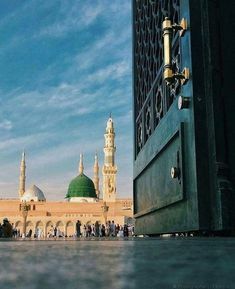 May Allah give us the grace to follow in the Prophet's footsteps, to receive some of his wisdom and understanding and thus heal our broken hearts. There is ground to be cleared before we can have any hope of coming close to the Qurān; thorny ground, all the more difficult to negotiate because the thorn trees are not immediately visible. In every religious tradition and in every ancient legend sacred things and sacred places are closely guarded, approachable only through effort and purification. The Qurān is no exception. Jalaluddin Rumi compared the Book to a bride, unwilling to lift her veil before a rough and importunate lover; and most importunate of all are those who seek to plumb its depths without effort, patience or humility. It is no mere figure of speech to say that those who wish to win the Quran must indeed woo it. Gai Eaton's(ra) "Islam and the Destiny of Man"
Those who would insist on understanding Islam through the conceptual framework imposed by the English language will likely find problematic many noncontroversial aspects of our religion. Here is a simple example. Those who have been influenced by feminist critiques of what are viewed as patriarchal aspects of Christianity, starting with the very nature of the godhead, are troubled by the fact that Allah (God) is identify by the pronoun "huwa," which is usually translated as "He." Hence, they infer that Allah is male, a inference that has immediate and serious implications for females. What they fail to consider is that in Arabic, there is no neuter, "it." Hence, in Arabic normally gendered language is used to describe phenomena that have no gender. Describing Allah as "Huwa" does not render "Him" masculine just as describing a car as "Heya," the Arabic feminine pronoun, does not render a car feminine. These are simply neutered uses of normally, but not exclusively, gendered terms. Allah is exalted above gender or anything else existing in creation. "There is NOTHING like unto Him, yet He is the All-seeing, the All-hearing (Qur'an, 42:11)." We often refer to Islam as a life style (as opposed to just-a-religion). I would like to add another alteration for the way we understand Islam and say, that Islam is also an art of living. I say that, because of the ornamentation Islam allows us to solicit to give meaning to life, while at the same time remaining within the scope of worship and religious rituals. The story of Yusuf ( peace be upon him) is a remarkable ode to hope that the Qur’an beautifully captures. One great verse in this chapter talks about the prophet Jacob, Joseph’s father, sending his sons back to Egypt to get back their little brother Benjamin who was captured by the Aziz whom they will get to know as none other than Yusuf. Jacob had lost Yusuf before Benjamin some 25 years earlier and when he sends his other children to look for Benjamin, this is what he says: “O my sons, go and find out about Joseph and his brother and despair not of relief from Allah . Indeed, no one despairs of relief from Allah except the disbelieving people.”” (Qur’an, 12:87). In the Musnad of Imam Ahmad, there is a story that people came complaining to the Prophet(pbuh) that a youth was a hypocrite because he prays all night (or prays qiyam at night), and when he wakes up in the morning, steals from people. It seems that the sahaba felt uncomfortable that someone with such a great honorable deed such as qiyam,would still live a double life and would commit a kabirah (a major sin). The Prophet(pbuh) planted the seeds of hope for people like this young man when he said: “His prayer will eventually forbid him from committing this sin.” In this story, there is a great lesson that we are all human and that we have our shortcomings. We sin in the day and during the night, in private and in public, so much so that some of us have lost hope in ourselves that we will ever repent to Allah (swt). Just like this young man, we all have hope that one day we will be granted the precious gift of repentance and steadfastness. This is a great lesson that we should never lose hope, that Allah (swt) will accept us, that His mercy is greater than our sins. Dreams, Loneliness and Sura Duhā (Part One): Shine! Today, I received a phone call from a dear friend. She was seeking advice on a project that was so amazing, so incredible, it blew my mind. Towards the end of our conversation, she mentioned, "I'm worried about what others will say. I may be isolated if I do this." What follows is a summary of my response to her. Dreamers are like the sun, blinding, bringing life to the cold dark earth. At its apex, the sun appears alone and isolated. Harsh and hot, few can handle it, and most avoid it. In its greatest moment it illuminates the heavens and all below, but it is alone; its glory is found in isolation. Such are the dreamers and the leaders. When they hit their stride, few can handle their light, their heat. Shine! Perhaps Sura Duha was sent, reminding the Prophet صلى الله عليه وسلم of this: that leadership is a light, and often times that light is so bright that it shines alone, preparing for him for the initial isolation he and his companions would experience in Mecca. Dreamers shine bright because their ideas, their bravery, isolate them from others. So, in your loneliness and in your concern, in your dreams and in your hopes, you are shining at your apex. You are illuminating. Don't be sad. Shine! As time goes on, and if you are sincere and with God, your light will settle and stars will began to appear; you light will be reflected, your dreams appreciated. In Mecca, the Prophet عليه السلام was alone, commissioned by Allah to rise and warn. Over time, his followers began to understand his mission and their numbers grew. "My companions are like stars." It is worthy of note that this beautifully poetic and powerfully rhythmic chapter of God's Revealed Word begins with His Name Ar-Rahman, "The All-Merciful". This alludes to the reality that everything and anything discussed in this chapter is somehow intimately connected to the inner secret of this Revealed Name of God. This very Name of God is therefore the very substance and fabric of existence (wujud), and it is this Truth/Reality which this beautiful Surah compels us to remember and to live by. It is in this very context that as human witnesses to this Truth, we are called to recognize all of this as Divine "favors" and are asked by God in "rhetorical fashion" and through a compelling refrain, to never deny His favors: "Then which of the favors of your Lord shall you deny?!" God reminds us: “God is the Rich and you are the poor/needy” (47:38). To even think of "denying God's favor" then is to deny our very existence as human beings, created as we were through Ar-Rahman in order to seek Ar-Rahman. In other words, as His servants who are "mercifully compelled" to servitude, we can only but existentially seek "The All-Merciful". We are in fact "damned" to this fate, even post-humously! Glory be to God for that! By now we should realize that it really can not get any better for the fate of human beings than to realize that in truth no matter what we do, we are actually being compelled by "The All-Merciful" (Ar-Rahman) to 'begin' and 'end' with Mercy (however long that may take in our post-humous lives)! Allow me to assert at this point the following: this existential and cosmic "seeking" which is the privy of all creatures/servants from the Heavens to the earth—but the privy of human beings in a specific and special way—can only take on two general modes of seeking, and this without exception. These are: seeking God through a state of need and/or seeking God through a state of thanks (or thankfulness). There are no alternatives to this. .. There is a profound secret in patiently persevering for anything in God's Name—whether it be children, health, peace, wholeness, nearness to God, anything. The secret is found in the literal wording of the Qur'anic verse, "Verily, God is "with" (ma'a) the patient" (2:153). To know and realize that God is intimately "with" (ma'a) those who abide patiently in the state of their need before their Lord is to reach the Goal without attaining to the means! Surely, in Heaven we are "near" God, but not necessarily "with" Him! The servant patiently persevering in the state of need is guaranteed to be "with" God and "IS" with God, here and now! What a blessing! What a reward indeed! The Creator addresses women as being on an equal footing with men, their status as beings and believers is the same as men’s and the requirements of worship are absolutely identical. Initially, Quranic verses used only the masculine plural form to refer to the women and men in the new faith community. For years, “believers” (Al Mu’minun), and “the truthful” (As Sadiqun), either referred specifically to men or to the men and women who constituted the Prophet’s (PBUH) first Companions. Once, a woman (or several, according to the different traditions) asked the Prophet (PBUH) why women were not explicitly mentioned in the revealed message. The Book — which, while revealing a universal message, also included responses to the questions asked by the men around the Prophet (PBUH) — was later to mention women and men distinctly. This evolution of the message is part of divine pedagogy in the process of revelation carried out over 23 years: the faithful are thus led to evolve in their understanding of things and critically reconsider some of their cultural or social practices. The status of women, who were sometimes killed at birth because of the shame they might bring, was to be reformed in stages, as verses were revealed. It thus appeared more and more clearly that the Quran’s message and the Prophet’s (PBUH) attitude were apt to free women from the cultural shackles of Arab tribes and clans and from the practices of the time. The Creator addresses women as being on an equal footing with men, their status as beings and believers is the same as men’s and the requirements of worship are absolutely identical. They are partners on the spiritual path, in which support and protection are needed: “They are your garments as you are their garments.” “Love and mercy [kindness]” are the heart’s resources that make life together possible: love to combine qualities, mercy to overlook failings and weaknesses. Exile from Makkah to Madinah also played a major part in the evolution of mindsets among Muslims: women in Madinah were more evident, more involved, bolder and more assertive, and they surprised the Prophet’s (PBUH) Makkahan wife, the learned Aisha, who said: “Blessed be (what excellent women were) the Ansar women, whom modesty did not prevent from seeking instruction [in religious affairs]”. The Madinah period helped sort out religious principles from Makkahan Arab customs and bring about changes in women’s status: the reform movement was thus started and accompanied by the Revelations, by social experiments, and, of course, by the Prophet’s (PBUH) attitude as the example the Companions were to follow. The different verses were therefore to be read and interpreted in the light of that movement, and early readings and interpretations of revealed texts were to be viewed in the ideal mirror of the Prophet’s (PBUH) behaviour. Accordingly, highly original interpretations regarding women, their status, and their rights appeared very early on. The inner reform movement was perceived, understood, and commented on from the first centuries, during which the Text sciences were established, but it remains true that early readers were mainly men who read the Revelation through the double prism of their gender and of the culture in which they necessarily lived. The Companions and early ulema could not but read the text in the light of their own situation, viewpoint, and context. While the Book spoke about women, their being and their heart, fuqaha’ (experts in Islamic law) set out to determine their duties and their rights according to the various functions society imparted them. Women were therefore “daughters”, “sisters”, “wives” or “mothers”; the legal and religious discourse about women was built on those categories. It is indeed difficult for a man, and what is more a jurist, to approach the issue of women primarily as beings in their integrity and autonomy — whatever the internal process initiated by the different revelations or historical experiences, such an approach inevitably orients and restricts the reading and interpretation of texts. Their concern was to impart a function to women, to draw up a list of rights and duties. A closer reading of the texts, however, shows that the purpose of the inner evolution just mentioned, revisiting women’s status step by step, is in fact to bring the believing conscience to perceive women through their being, beyond their different social functions. This inductive movement towards the primacy of being naturally involves an effect on the issue of social status; this, however, implies allowing full scope to the interpretation process and accepting all its consequences. A dot is defined as a ‘small spot’ it takes a number of forms, whether it be in grammar in the form of a full stop or a tittle, a small distinguishable dot placed above lower case I and J. How many a sin does Allāh veil through His Majesty, Gentleness, and Mercy? Never disgracing us in the light of day, before others, forever concealer our faults, covering us. If He wanted to he could reveal our sins, make us lose face so easily, but He does not wish to degrade and humiliate us. Back to the dot, they are prevalent in Arabic too, often found above or below letters making them distinct to others. Allāh conceals our sins literally, and you can see it orthographically too in the Arabic, our countless faults (عيب) will remain unseen (غيب). A mere dot out of His Mercy covers our faults from all, subḥān’Allāh. All in the hope that we one day correct our ways.